Ole Hanson's home, Casa Romantica, was restored and developed into the Casa Romantica Cultural Center and Gardens. San Clemente, California, (population 65,000) is a seaside community located between San Diego and Los Angeles. Its history includes both the Juañeno and Luiseño tribes who were native to the area. In 1776, located in what is now San Clemente, Mission San Juan Capistrano was established by Father Junipero Serra. This led both Indian and Spanish settlers to set up villages nearby. Spanish and Mexican colonization was followed by American settlement and statehood. In 1925, Ole Hanson, a former mayor of Seattle, envisioned a red-roofed Spanish village by the sea. He purchased 2,000 acres and designed the community he named San Clemente, which was incorporated in 1928. Hanson’s vision included schools, parks, a city hall, pier, public beaches, a church, and other public amenities, all designed with a Spanish theme. During the Great Depression, however, growth in San Clemente came to a near halt. Following many foreclosures, the bank owned most of the city. The bank eliminated the previous Spanish-style architecture requirement and allowed the development of the first non-Spanish architecture in town. The post-World War II era led to rapid growth and the loss of many original “Ole Hanson” structures. A historic preservation ordinance has since been established, which has helped to protect what remains. In 1969, President Richard Nixon purchased a Spanish mansion in the southern part of town and this “Western White House” became the site of numerous historical meetings. The Historical Society of San Clemente maintains a historical archive and operates a museum, which offers ever-changing displays of local history from the time of the Native Americans to the present. 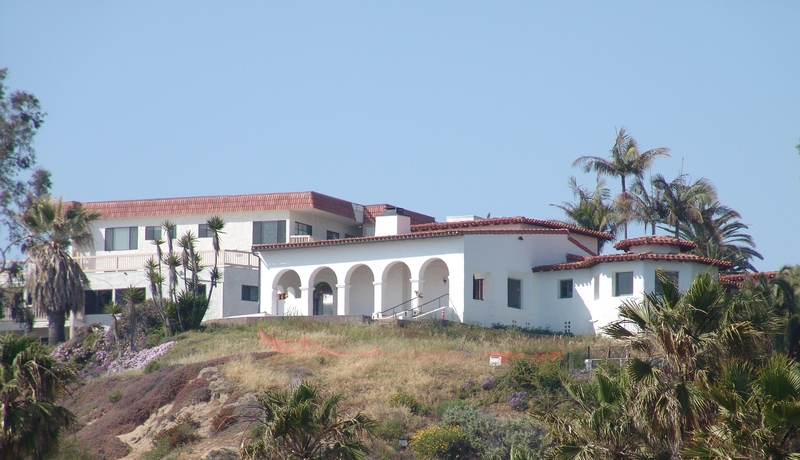 The city of San Clemente formed a partnership with the Casa Romantica Cultural Center and Gardens to restore and develop historic Casa Romantica, Hanson’s home, into a cultural center. This 10-bedroom home was designed by Carl Lindbom, who also designed President Ronald Reagan’s Western White House and the Santa Barbara City Hall. Casa Romantica, which had been closed to the public and was in danger of being demolished, is now operated by a non-profit organization that provides multi-cultural programs to the public. School children from all over Orange County visit the cultural center and experience the heritage of San Clemente, Orange County, and southern California.